At its eastern edge, the earth form of an amphitheatre rises slightly to define a open end to the central space. The horizon is marked by the slope of the Desert Hill in the distance. Classrooms line the entire quadrangle space on two floors with and arcade at ground level. Each individual school is given identity by and entrance tower and associated landscape treatment. 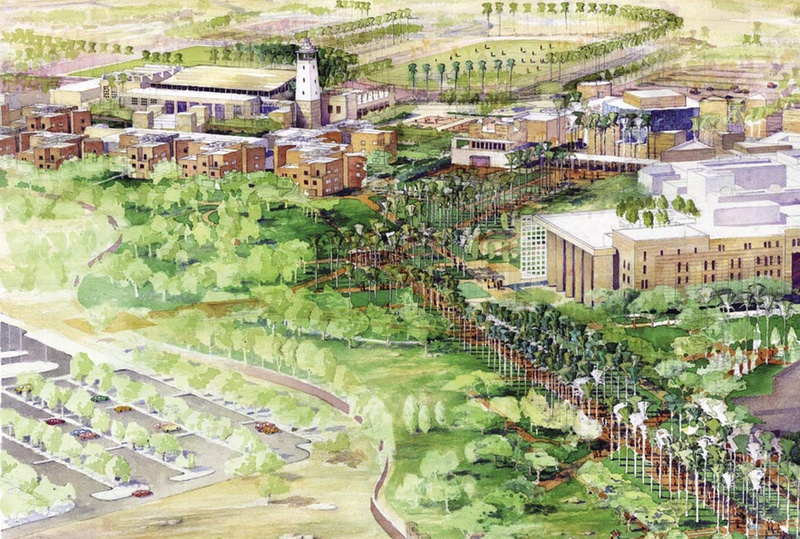 The outdoor athletic fields are designed as an extension to the Desert Garden.